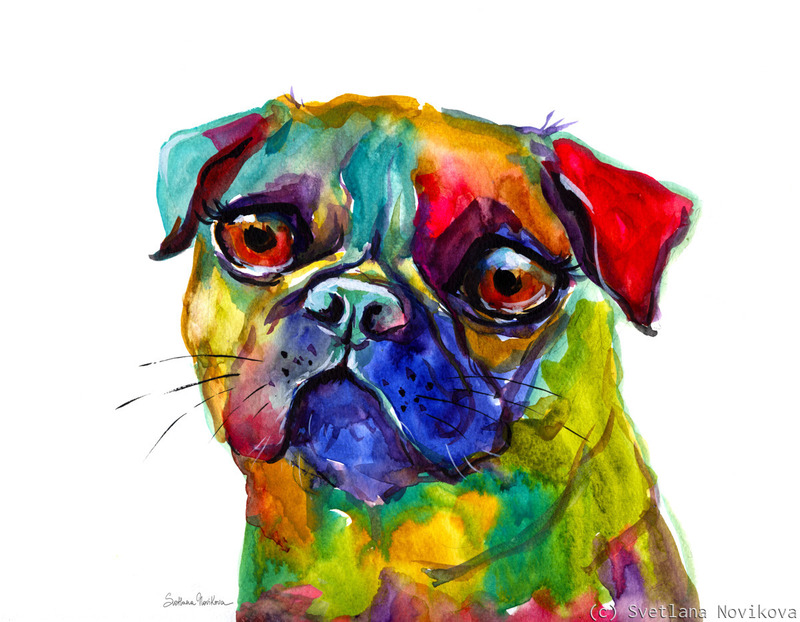 This colorful pug dog painting was done with watercolors by Svetlana Novikova, all rights reserved. I am available for custom portraits, licensing and wholesale. Please contact for more information. 9" x 11.5"11" x 14"13" x 16.75"17" x 21.75"21" x 27"25.5" x 32.75"